For the racehorse, see Torgau (horse). For the WWII-era prisoner of war camp, see Stalag IV-D. For Soviet internment camps, see NKVD special camps in Germany 1945–49. Torgau (Lower Sorbian: Torgawa) is a town on the banks of the Elbe in northwestern Saxony, Germany. It is the capital of the district Nordsachsen. Outside Germany, the town is best known as the place which commemorates the meeting of US and Soviet forces during the Second World War. This occurred on 25 April 1945, later known as Elbe Day. Sights include the historic town centre, restored since the unification, a brewery museum, the monument for the meeting of the Russian and American troops on the Elbe and a Russian military cemetery. The early Renaissance Hartenfels castle dominates the town. The chapel was built in 1544 (designed by Nickel Gromann) and combines late Gothic with early Renaissance elements. It was consecrated by Martin Luther on 5 October 1544. Brown bears are still kept in the moat. The settlement goes back to a Slavonic settlement named Turguo in the shire of Neletici. 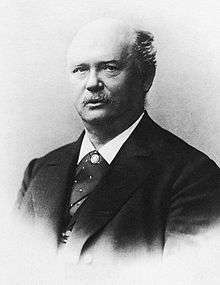 There was presumably a wooden Slavonic castle located on the site of the present-day Hartenstein castle. In the 10th century it fell under the rule of the Holy Roman Emperors, and a stone castle was built, round which the settlement congregated. A market is attested in 1119. The town was located on the important trade-road between Leipzig and Frankfurt an der Oder that crossed the river Elbe at a ford east of Torgau. Torgau belonged to the duchy of Saxe-Wittenberg. After the last Ascanian duke died without issue in 1423, the Electorate passed to the Wettin dynasty, which took up its residence at Torgau. Following the Leipzig partition of the Wettin inheritance in 1485, Torgau fell to the Ernestine line. The court resided mainly in Weimar and in Torgau. From 1525 onwards, Torgau became the sole residence. After the Battle of Mühlberg in 1547, Torgau fell to the Albertine line. During the Reformation, the town council closed all cloisters in 1523. Citizens of Torgau destroyed the paintings and statues of saints in the churches and stormed the Franciscan monastery. After Luther had driven Andreas Karlstadt (Bodenstein) from Saxony in 1524, he enforced the expulsion of Karlstadt's followers in Torgau in 1529. Katharina von Bora, the wife of Martin Luther is buried in St. Marien, Torgau. The Torgauer Artikel, a draft of the Augsburg Confession was composed by Luther, Melanchthon, Bugenhagen and Jonas in the electoral superindenture in 1530 (Wintergrün). The Lutheran Formula of Concord was written in Torgau in 1576. The first German opera, Heinrich Schütz's Dafne, was presented at the court in Torgau, 1627. In the Battle of Torgau, on 3 November 1760, a Prussian army under the command of King Friedrich the Great defeated a larger Austrian army under the command of Field Marshal Leopold Josef Graf Daun, a major battle of the Seven Years' War. After the Congress of Vienna, it was passed to Prussia in 1815. The town is the place where during the Second World War, United States Army forces coming from the west met forces of the Soviet Union coming from the east during the invasion of Germany on 25 April 1945, which is now remembered as "Elbe Day". Units of the American First Army and the Soviet First Ukrainian Front met on the bridge at Torgau, and at Lorenzkirch (near Strehla), 20 miles to the south. The unit commanders met the following day at Torgau for an official handshake. This marked the beginning of the line of contact between Soviet and American forces, but not the finalized occupation zones. In fact the area surrounding Torgau initially occupied by U.S. forces was later, in July 1945, given over to Soviet forces in compliance with the Yalta agreement. After the war, in 1949, a film called the Encounter at the Elbe was released from Mosfilm about this meeting of the two armies. According to journalist Andy Rooney, who was a correspondent in Europe at the time, the Red Army raided the Hohner accordion and harmonica factory at Torgau at the time. There was nothing surprising about that, Rooney said; armies have been plundering civilian property for ages. What was surprising was that half of the soldiers in the Red Army seemed to know how to play a musical instrument. There was a woman, a singer, who had been held prisoner at Torgau during the war, Rooney said, and the Russians freed her. She gave an impromptu concert in the town square, and the sound of her voice rising above the combined accordions and harmonicas playing in unison was something one would never forget. Torgau was one of the prisons where Reinhold Eggers spent his post war imprisonment after being sentenced by the Soviets. Eggers had been the Security Officer at Oflag IV-C during the war, Colditz Castle. After the war, the Soviet secret police agency NKVD established its Special Camps Nos. 8 and 10 in Fort Zinna and in the nearby Seydlitz barracks. Germans and some Soviet citizens were interned here or served sentences passed by the Soviet military tribunals. The East German People's Police used the Fort Zinna prison from 1950 to 1990 as a penitentiary. In the 1950s it primarily housed political prisoners. The Torgau Documentation and Information Center (DIZ), founded in 1991 and now under the administration of the Saxon Memorial Foundation for the commemoration of the victims of political despotism, researches and presents the history of the Torgau prisons in the permanent exhibition "Traces of Injustice". 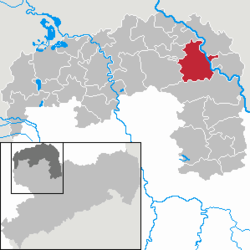 After World War II, Torgau was initially the district centre of the state of Saxony Anhalt in East Germany. After the dissolution of the states of East Germany in 1952, it became part of Leipzig bezirk. 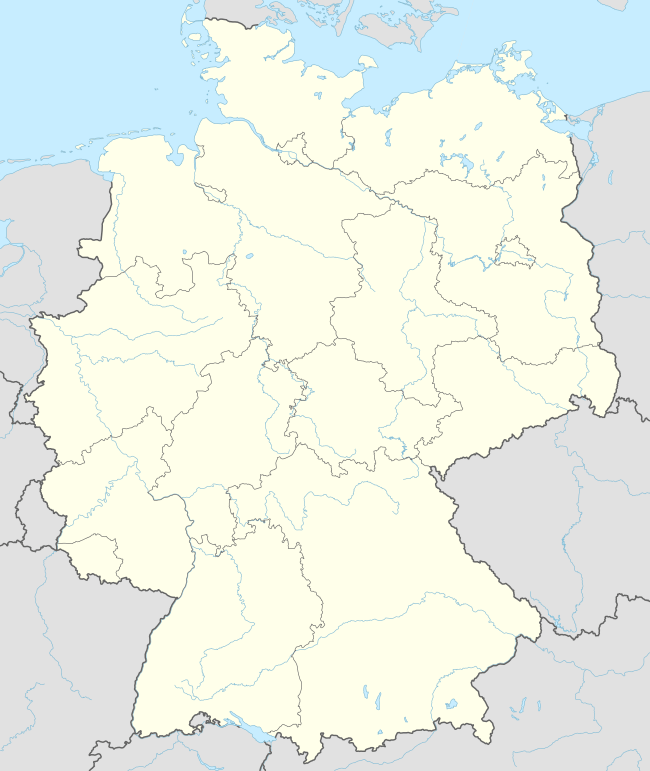 In 1990, after the Unification of Germany, it became part of the Leipzig region of the state of Saxony. In 2008 it became the center of the Nordsachsen district. Wikivoyage has a travel guide for Torgau. Wikimedia Commons has media related to Torgau.